Toggles, Trendy Togs for Dapper Dogs, the bandana to be seen in. Available in a variety of fun, colourful designs for every occasion. 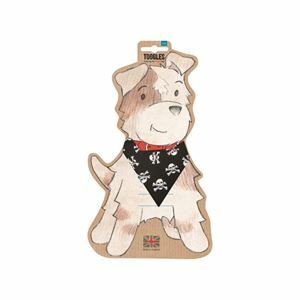 Made in the UK and presented on a friendly vintage Toggles Dog card with handy care chart for the dog and size guide on reverse. Collect them all, for dogs that like to wag in style! !